Starlite with Candice Anne Marshall 'My Favorite Things' Birthday! 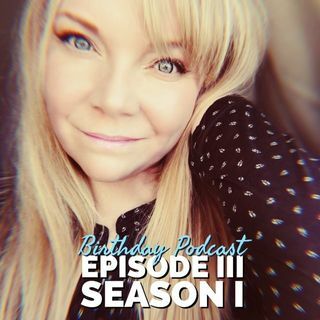 Join me for some Birthday Celebrations with some of my favorite ppl:Jennifer from Luxe Wand Co., Rochelle from Lover Raw Chocolate, Annie from Sage Ston Malas & Meditations, and Christy from Poppy's Oils! I am celebrating 47 today with all of you by bringing you some of my 'Favorite Things'! The four ladies interviewed on this show! Now go out and celebrate in honor of this first day of spring and my birthday! It was an honor to spend this blessed day with you! Bye everyone. Happy, happy birthday Candice! bye everyone! Have a wonderful day! Bye all! It was a great show. Now, to walk my dog. It's a beautiful Spring day! Wow! What a fun afternoon! That was a quick 3 hours! You picked a winner Kathy, Daveit has great music. That's why I'm so passionate about Daveit's music. Multi genre and brilliant!!! I'm just glad you agreed to go on the show. I'll look forward to that.